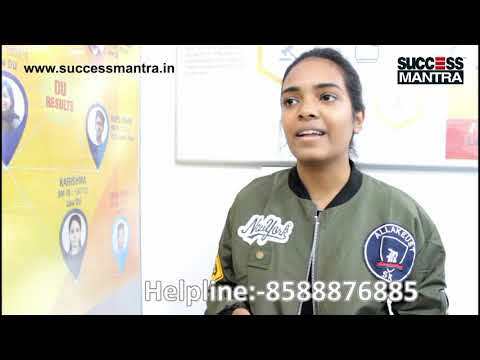 Success Mantra provides Quality education at a rational price and thereby to create an environment that guides students towards the path of the success. Along with designing the curriculum and delivering the lectures, we work upon the ways the students think and approach problems asked. Success Mantra is headquartered at GTB Nagar, Delhi and has No other branch in Delhi/ NCR. Our teachers are having profound knowledge & experience. They understand the student’s psychology and are experts in counseling & motivating them to excel in their endeavors. The course content provided in Success Mantra is exclusive production of “Success Mantra Knowledge System”- A publication wing of Success Mantra. The course content is complete in all respect and students can safely rely on our Study Materials. 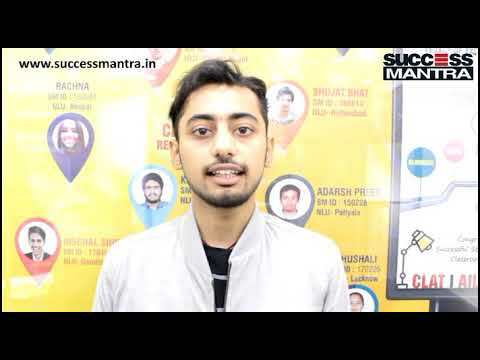 Ask any student successful in CLAT/ LLB/ Hotel Management/ BBA and you must get positive feedback. The fact that many of the institutes refer to our study materials & Test Papers while creating their materials is the testimony to our content quality. The highly motivated and self-driven team of founders. Dynamic and excellent pool of faculty. Comprehensive & timely coverage of syllabus. Regular updates on the notifications related to vacancies and different examinations. He is the co-founder of the Success Mantra Coaching institute. He has 7 Year of experience in teaching Mathematics. As far as his qualification is concerned he possess the degree of MBA. He is the Faculty of English Language. He has fifteen years of enriched experience of working with different organization including teaching experience for more than five experience. Head Office : Gtb Nagar is better than other centres as here, management is Poonam mam who takes care of we students requirement personally. I have taken the feedback and I sure of my words. I am very much happy to study in Success Mantra. Class feedback is good at its place. All of the faculties are equally good who explain concepts to students until we get satisfaction. Another best part of this coaching is consistency of classes and Subject wise Tests. I was a student of this coaching institute for Law Program. My feedback for this coaching is 5 out of 5. I was very much sure about my selection just after writing the exam and the Exam was so easy for me. Most of the questions were common which I had been taught in the class. I have had been student of this coaching in 2017 for my Delhi University Law Faculty Entrance Exam. My experience for Coaching was Best with this institute. All Faculties are specialized and NOT even a single faculty is one who can be undermined. I joined the Classroom Program for Law Entrance examination and I felt the Class Content was awesome. Also the books which are provided us, really helpful for practice.